I followed the full 90 days of P90X back in 2007. 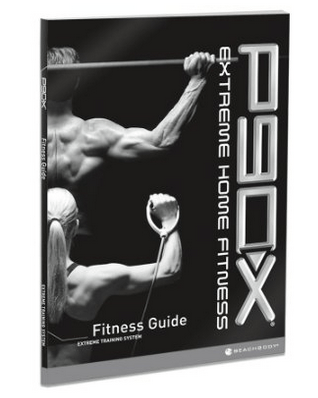 To the best of my knowledge, this is the best home workout DVD series for your whole body. Below is how I came to that conclusion. The program is considerate of varying fitness goals and offers specific training regimens for each goal. Different nutritional needs are considered also. The program provides a guide with many food options, including sample meals. The program considers training cycles! They know what they are doing for sure. Each fitness goal has its own set of training cycles. Anyone who knows what they are doing when it comes to fitness instruction incorporates training cycles. Cycles give the body time to recover, grow and move on to the next cycle. The program considers the absolute need for regular stretching. Not only that but included is a whole disc dedicated to stretching. The rest periods are too short for the weight training workouts. I believe the makers of the program did this for the sake of intensity, and to prevent the consumer of getting bored staring at the TV, waiting for the next set. Yes, you’ll burn more with a short rest period between sets. But, you won’t be able to perform your best on each set, because of lactic acid build-up. If you want to grow larger muscles, you’ll need rest periods between sets that are long enough for you to perform your best with heavyweight. For muscle gain/size (aka hypertrophy), that is somewhere around 1.5 – 3 minutes between sets. If you have really short rest periods (under a minute), soon you’ll end up choosing a weight that you can handle to complete the proceeding sets and not a weight that is heavy enough for hypertrophy. The ab routine is limited. There is a lack of variety which is necessary to attain your best abs possible. The routine is easy to get used to. In a few weeks, you won’t get much from it. It is also not that difficult if you have a strong core already. The “Cardio X” program intensity is too low. Of course, that’s my option, but I’ve done more challenging cardio routines that “feel like cardio” within 10 minutes or less.